Tired and stressed? Need last minute print and go worksheets? 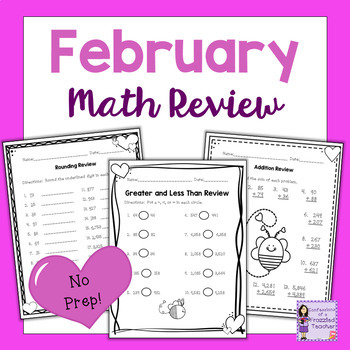 Keep your students engaged with these no prep math printables. These also make great review for a substitute! 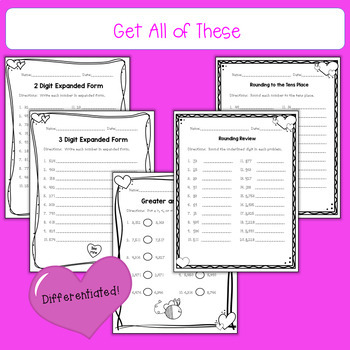 Meet the needs of all learners and save your sanity with 6-8 differentiated pages in each category! Looking for more Valentine's Day activities? Check these out. Follow me on Facebook at HERE or on Twitter at HERE.